Mrs. Shirley Thompson, age 62 of Fayette, passed away Wednesday, January 30, 2019 at DCH Regional Medical Center. Funeral services will be held Thursday, February 7, 2019 at 2-P.M. from Nelson Funeral Home Chapel. Burial will follow in Bankhead Cemetery. Visitation will be held one hour prior to service time from 1-2 P.M. at the funeral home. 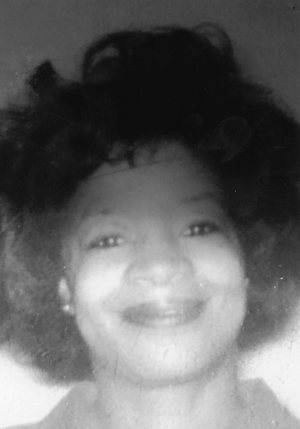 Shirley Ann Thompson was born in Tuscaloosa, AL to the late Jim Blair and Artie B. Hubbert on March 21, 1956. She departed this life at DCH Regional Medical Center, Tuscaloosa, AL on January 30, 2019. Shirley was born in Tuscaloosa, AL and later moved to Fayette, AL where she lived until her death. She was preceded in by her parents, sister: Kat Robinson, and granddaughter: Chasity Blair. She leaves to cherish her memories 7 children: Walter M. Blair (Takisha) of Birmingham, Timiko Blair and Terry Blair, both of Fayette, AL, Fredrick D. Thompson (Stephanie) of Winfield, Robbie Thompson of Anniston, AL, Claudie Thompson, Jr. (Tanesha) of Gardendale, AL, Ashley Thompson of Georgia, 2 brothers: Matthew Blair (Martha) and James Travis, 3 sisters: Martha White, Addie Mae Blair Wheeler, and Brenda Blair, a host of grandchildren, great-grandchildren, family and friends.